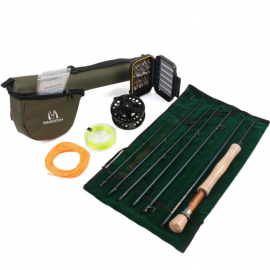 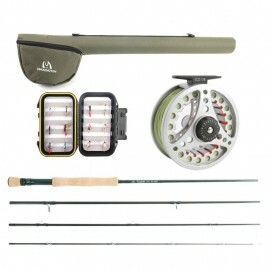 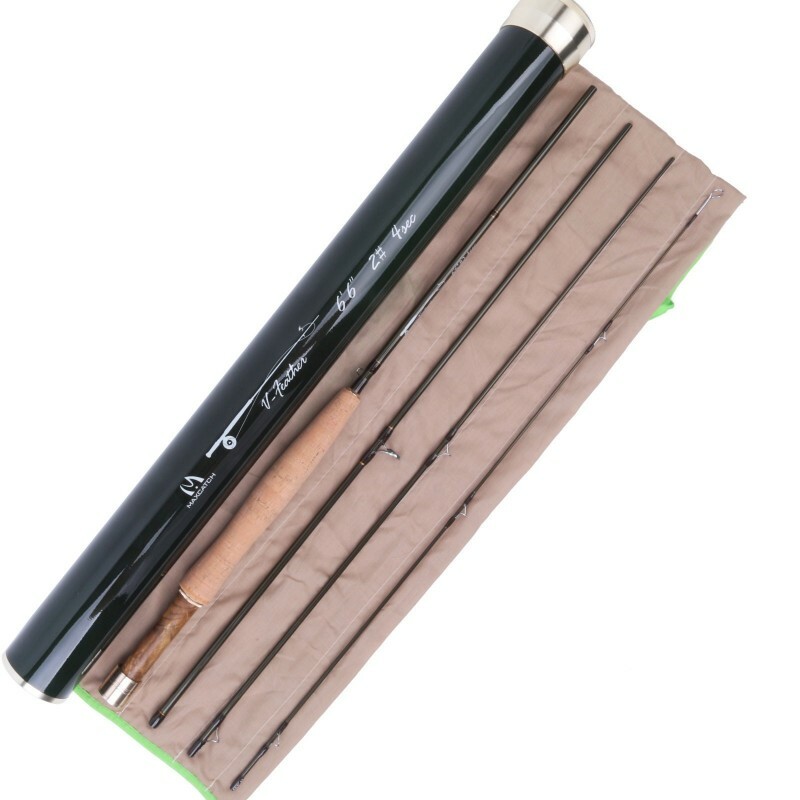 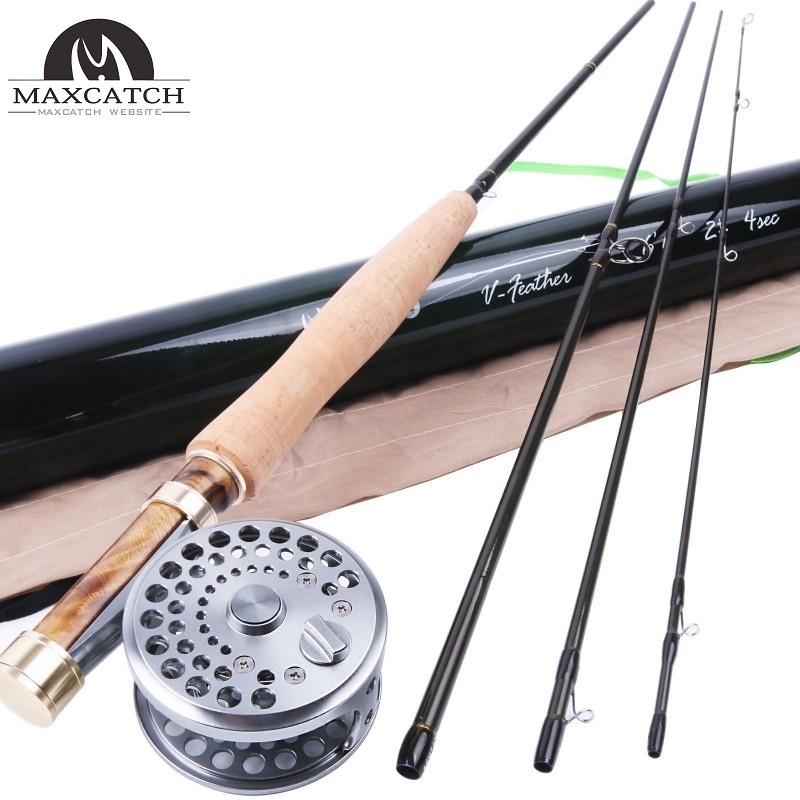 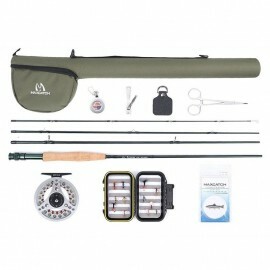 With Graphite IM10(36T South Korea carbon fiber) blanks, Plated Brass burl wood reel seats, and hard chrome guides, come with a carbon rod tube and cloth bag for protection. 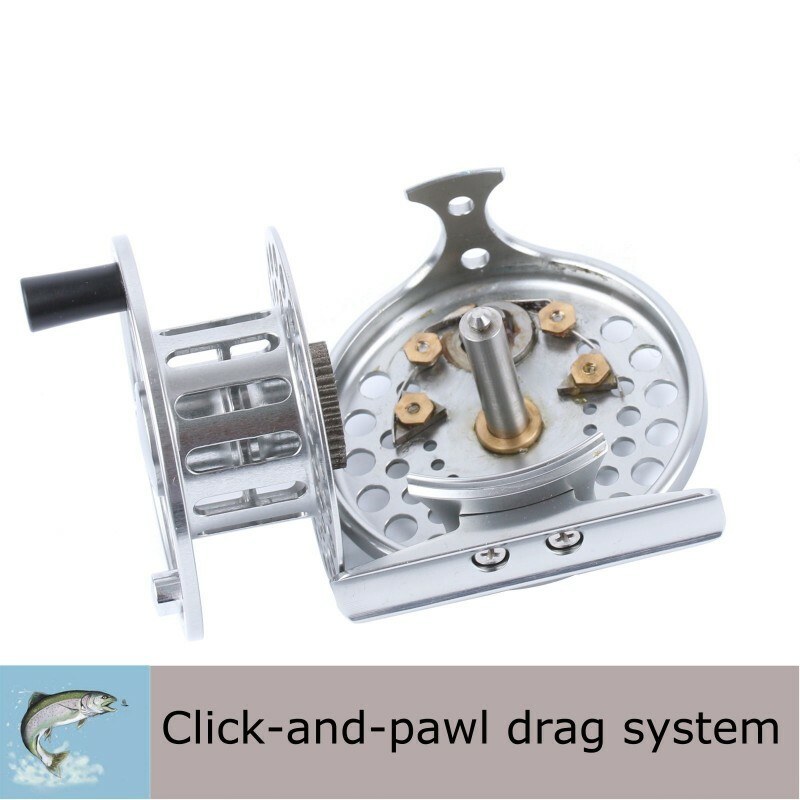 Classically styled , yet technically enhanced, click-and-pawl drag system that is adjusted internally and is designed to work in tandem with the palm of your hand on those sizzling, screaming runs. 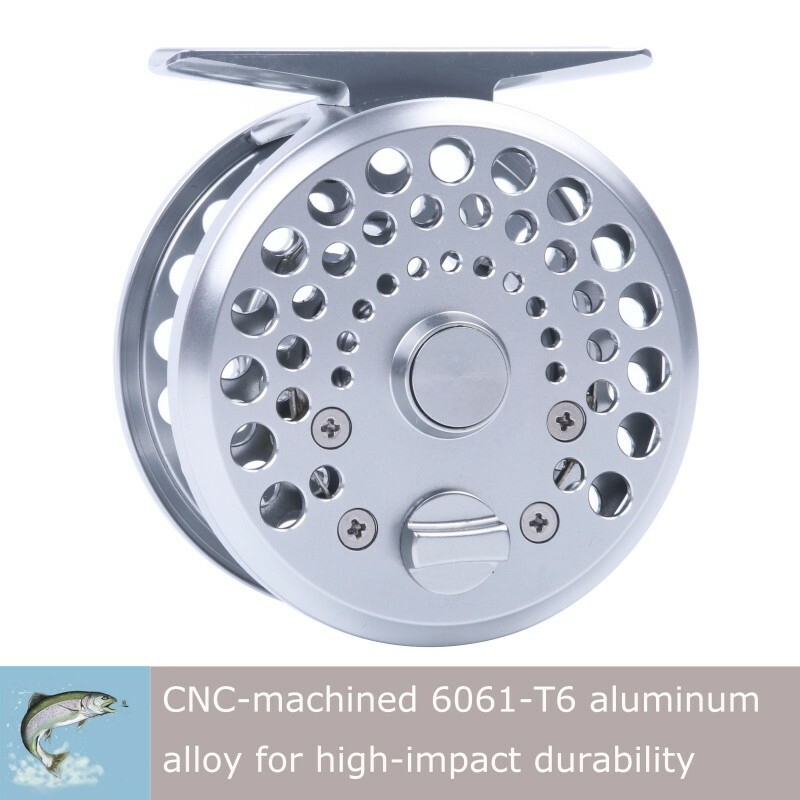 Constructed with a narrow spool for less line stacking on retrieve and a larger spool diameter for higher line retrieval rates. 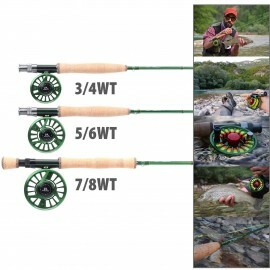 The ultra-lightweight fly reel design balances perfectly on shorter rods. 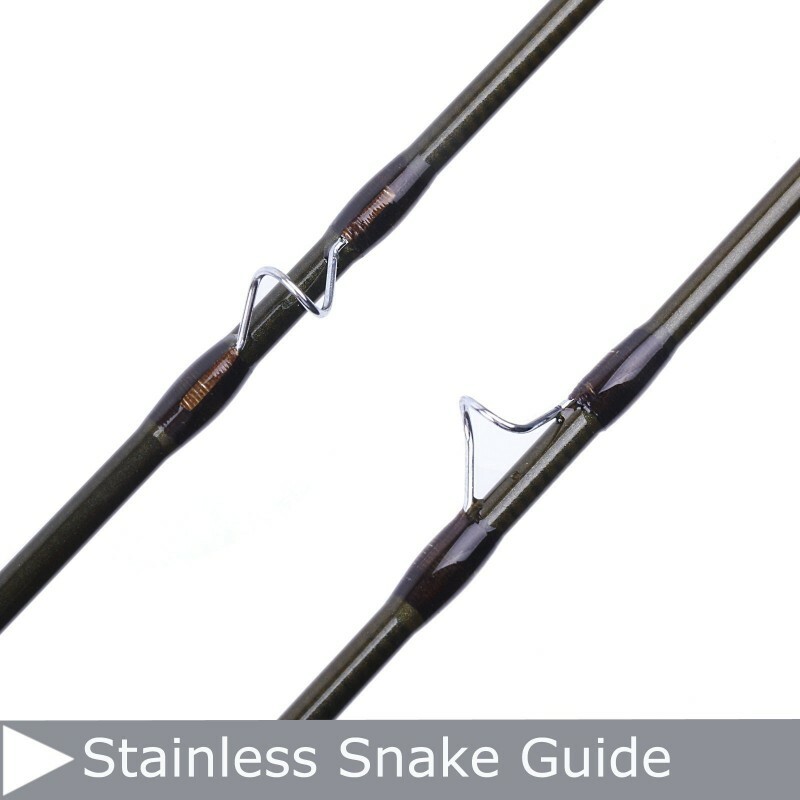 Easily adjustable left- or right-hand retrieve.